My new friend | Washington D.C.
Not because she’s popular and beautiful, but because of her intrinsic qualities of generosity, openness and intentionality, I’ve made friends with Washington D.C. The first time we met, I was a little shy. I awkwardly navigated her streets and parking garages. When I should have been making eye contact, I looked down at my phone for directions. Thankfully, over time my comfort level grew and I began to see the inner qualities that really make her shine. First of all, D.C. is a giver. She’s very good at considering the interests of others and offering her best without strings attached. Smithsonian’s of American History, Natural History, Art, Animals and Air and Space (just to name a few) are all available free of charge. Secondly, she doesn’t hide behind a mask of anonymity. “Come see behind the curtain,” see beckons. 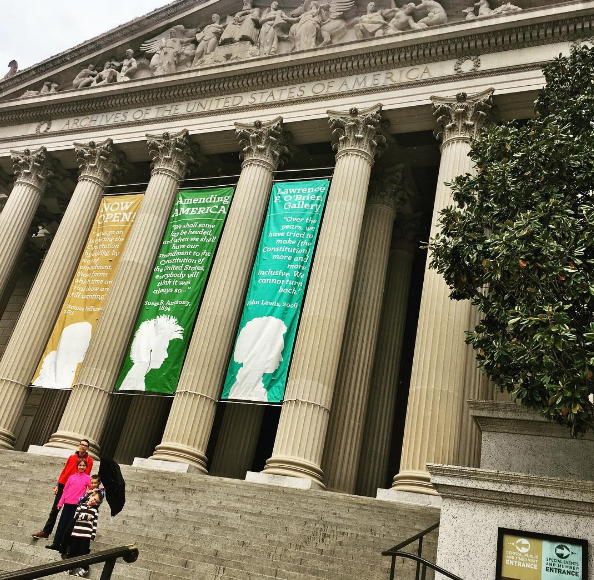 She showed us her Founding Documents, allowed us to peek in on Congress while it was in session, see how her money is made, and tour her federal buildings. How refreshing to walk through the front door of her home and feel openly welcomed. 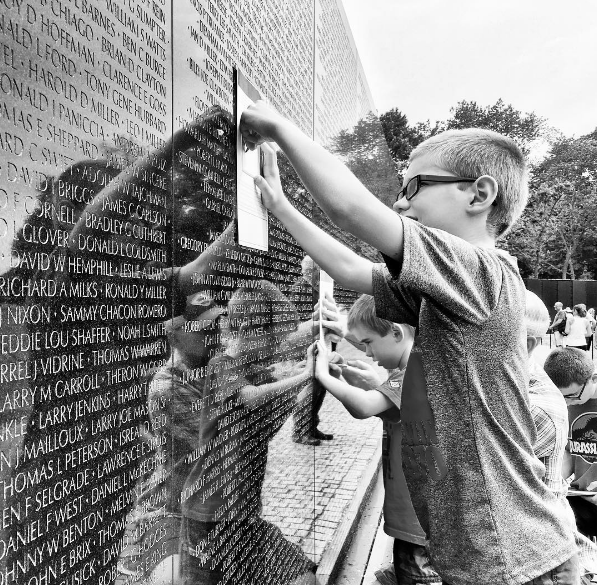 It was overwhelmingly apparent that thoughtful intention is important to D.C. Her monuments radiate forethought and she’s amazing at remembering the little details of dates, quotes and names. 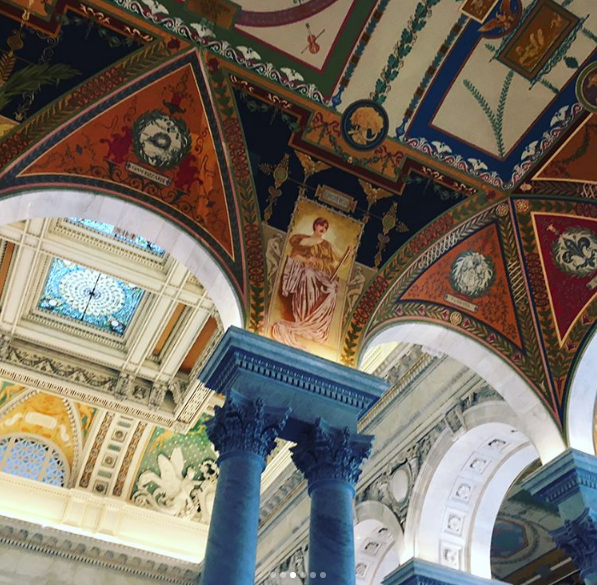 Her Library of Congress emanates exacting symbolic beauty. It was impossible to not be equally impressed and educated. Just when it seems she might be getting too serious, D.C. reminds me that she has a quirky personal side as well. People bring their agendas to her in the form of signs and banners and make solid use of their freedom of speech while standing on her front lawn. Street vendors offer clothing with my choice of adorned presidential face: Obama or Trump. 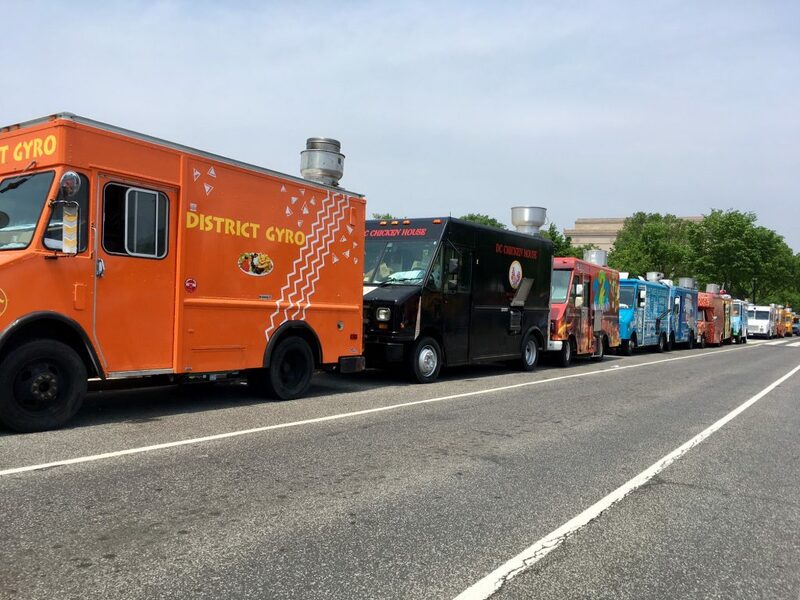 Food trucks representing every hue of the rainbow line her streets. She takes the constant changes in stride. D.C., I feel I’ve only just started to uncover your depth. I’ll remember your welcome for years to come. Thank you for opening up your heart to us and letting us wander your streets until we felt like friends. We stayed about 20-30 min south of D.C. at the Louise F Cosca Regional Park in Clinton, Maryland. For us it was perfect. $23/night for water and electric with a dump station on site. Read the reviews here to see if this might be a good option for you. With our longer 41′ 5th wheel there were only a few sites that would work for us. However, the campground was sparsely populated for nearly our entire 2 week stay so we were able to pick a spot that worked for our size. 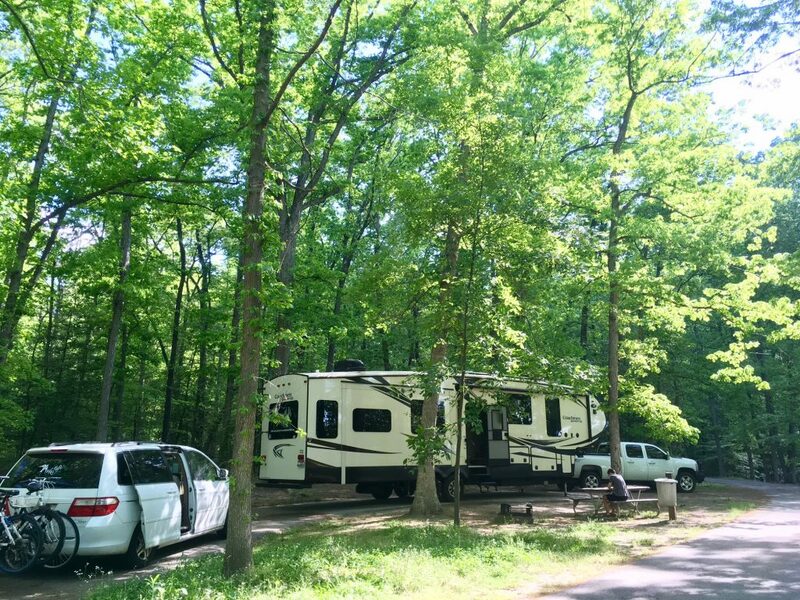 Although there is surrounding city noise, the atmosphere in the RV park is quiet, woodsy and peaceful–a perfect contrast to a day spent in the city. Many people suggested that we use the Metro and said to avoid driving into the city at all costs. However, we found that for the size of our family (6), the cost to use the Metro exceeded the price we would pay for parking. We downloaded the app Parking Panda which allowed us to pre-pay for parking. Although traffic was heavy during typical rush hour peeks, we still preferred the ease of being in our own vehicle. Toward the end of our stay we realized that there are a number of free parking lots near the monuments. Utilizing these locations saved money. If we needed to go farther into D.C. it would have been wise to combine our free parking with an Uber ride. The first weekend we were here we avoided going in to D.C. on the weekend thinking it would be more crowded. However, when we ventured out the following weekend, we found it to be less busy overall because there were less school groups and business traffic. Although it feels almost impossible to narrow down my favorite activity, my top recommendation for things to do is a Free Tour by Foot. We took the Lincoln Assassination Walking Tour which started at 7PM. It was informative, entertaining and memorable for all of us. 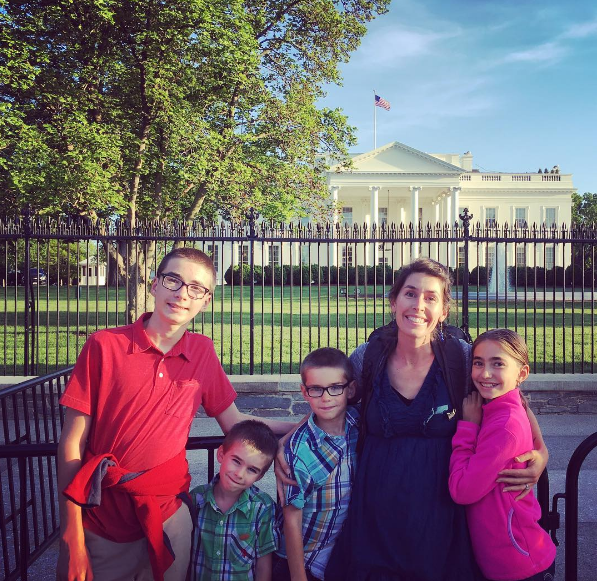 Great tips for a visit to DC! Rental bikes made out trip there even more fun. If we visit again, I’ll look into staying where you stayed. Hi Tina! Great point about the bikes. I think those would be another really great way to get around and I love how easily you can spot them (they are everywhere). Maybe the next time we are in D.C. and our youngest two are a little bigger we can try them out! 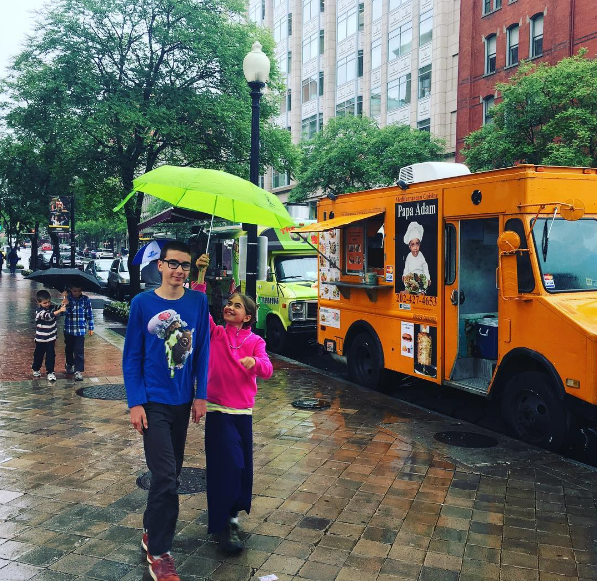 Thank you for this beautiful post on our nation’s capitol! How refreshing to read something positive for once, in view of the constant critical and negative (political) opinions these days! 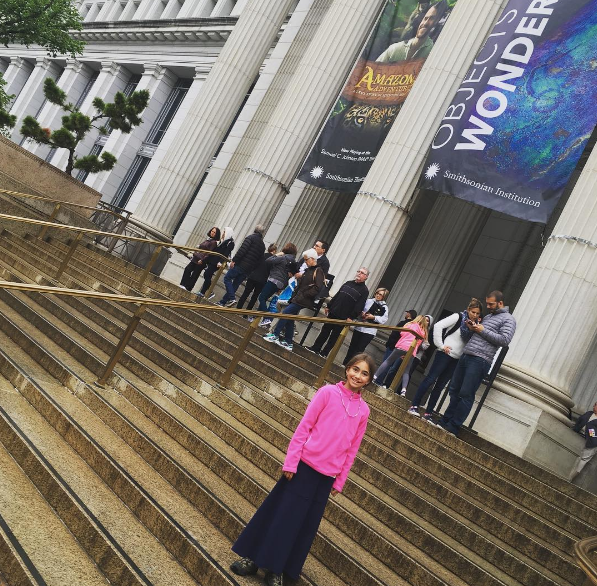 Having raised & homeschooled our 5 children about an hour from this bustling city, we made sure to take advantage of her amazing and FREE museums! I still find I’m somewhat surprised when I have to pay at similar museums, having been spoiled by that great perk! I’m always delighted by your insightful and creative take on things and I enjoy your writing/reporting so much! Happy Trails! Thank you so very much Jenifer! 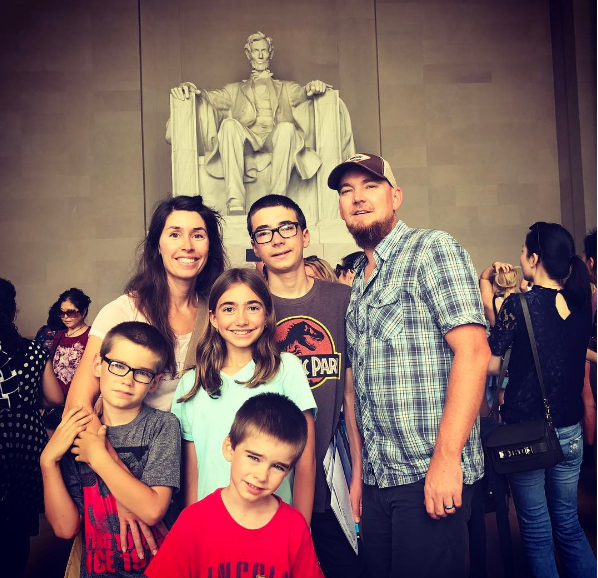 It makes me happy to know that you enjoyed reading about D.C. through my eyes and that your family has also enjoyed the same experiences as we just added to our memory bank. Please keep in touch, it is fun to hear from you.